Mazatlan: the pearl of the Pacific. This famous and enchanting town offers all you'd want in a relaxing vacation: ocean, beaches, great weather, entertainment, shopping, great food, great people. 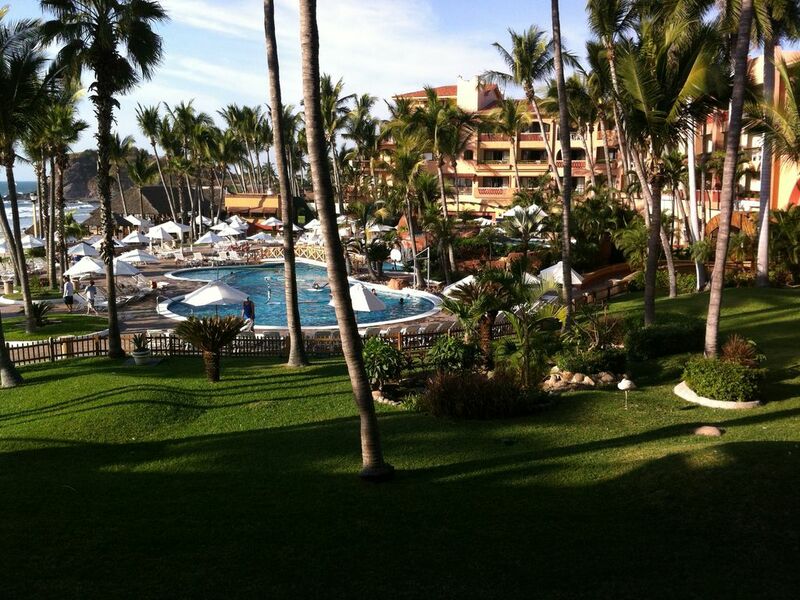 And the top resort where to spend your Mazatlan holiday is Pueblo Bonito. Located on a private beach, Pueblo Bonito welcomes you with its cozy Spanish architecture, its spacious and comfortable suites (all facing the Ocean), its people always ready to serve you, its three enchanting pools, its restaurants, its parties, its palms, its sunsets, its warmth... the list may never end! Efficient public transportation is available from the resort and can take you quickly wherever you want to go: the Zona Dorada for some Mexican shopping and shows, downtown for typical Mexican markets and restaurants, Punta Cerrito for traditional seafood, or the modern malls for North-American style shopping. We'll provide you with lots of information and tips learned over the years to fully enjoy your stay. Daily maid service is included, while all kinds of other room services (laundry, food, baby sitting) are available for very affordable fees. Call or e-mail us and let us know when you want to go. Once your booking is confirmed, all you have to do is look forward to the vacation of your dreams, and then enjoy it! tub/shower combo, separate from sink. very well maintained resort, immaculately clean and constantly serviced by the staff. Free shuttle bus to sister property Pueblo Bonito Rose' and free entrance to sister property. In this way guests can benefit from the amenities of both properties. Excellent all inclusive plan available, interchangeable with both properties.